If ya'll know me, then you know I adore all things blue and white. It is seriously so classic. My home bleeds blue and white and I wouldn't have it any other way. I like pops of yellow and gold in there too and throwing in pink is stunning as well. 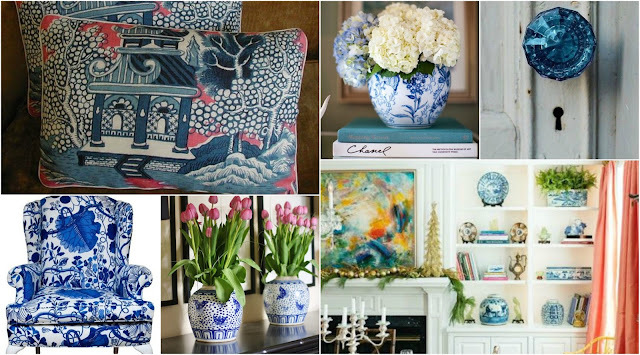 I can't help but browse Pinterest and get sucked into all things blue and white decor. I mean, I could literally pin and browse for over an hour. I was looking through my likes and decided to share a few of my recent favorites. I"m pretty sure if it were up to me my home would have nothing but blue french toile wallpaper but luckily hubby limited me to one room (for now...) But seriously, how fun is wallpaper if done correctly? Think accent wall and wild colors or patterns! Although, if you asked my husband, he's tell you he's never messing with it again! (haha) Also, if there's a baby #2, we're leaning toward a dark navy nursery with pops of white and gold! It would be the total opposite of Miss A's light pink and green palace that's for sure. Anyway, happy hump day ya'll! 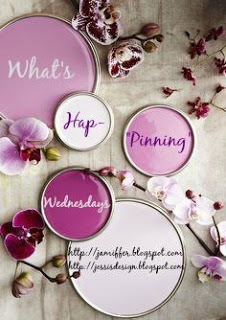 Link up with Jenn and myself for What's Hap-"Pinning" Wednesday and let us know what's happening in your world! Also I want to give a big ole' Happy Birthday shoutout to my sister!!!!! Love you!!!! I love blue and white, too! There's lots of that in my home and some greenish/blue mixed in. Love it all together! LOOOOVE blue and white! Great pins! I love all the blue and white designs! Very elegant! I'm not a huge fan of wallpaper but it definitely seems to be coming back to trend! Accent walls are definitely fun! You literally cannot go wrong with a classic blue and white. So fresh, clean and timeless. I would love to do a guest room in those colors one day (if we ever stop having kids and have a guest room, that is, lol!) And that dress? LOVE! I love all of these inspiration photos. Blue and white are some of my favorite combinations. In fact, almost every room in my house is some shade of blue, or gray haha. I love blue and white. That bathroom is so amazing! Ugh, I just love white and blue!! I honestly can't believe I didn't decorate our house with it!! If I could, I'd totally do the wall paper in a nursery or something! Happy birthday to your sister! Blue and white are so pretty together...so fresh and crisp! That dress and shirt. So in love with them. Happy birthday to your sissy! Love the classic look of white and blue, so pretty!! Blue and white are for sure classics! 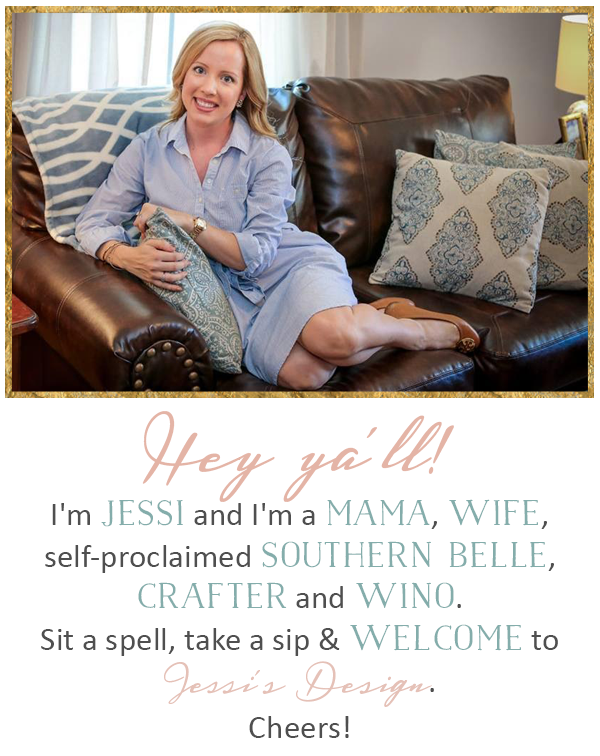 Sooooo, that blue and white floral dress with all the accessories is so Southern lady. 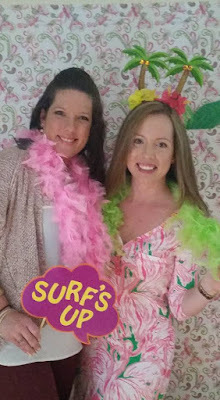 You need an excuse to wear that and ASAP! I love white and blue decor, it's so pretty! lol @ limiting you to one room. 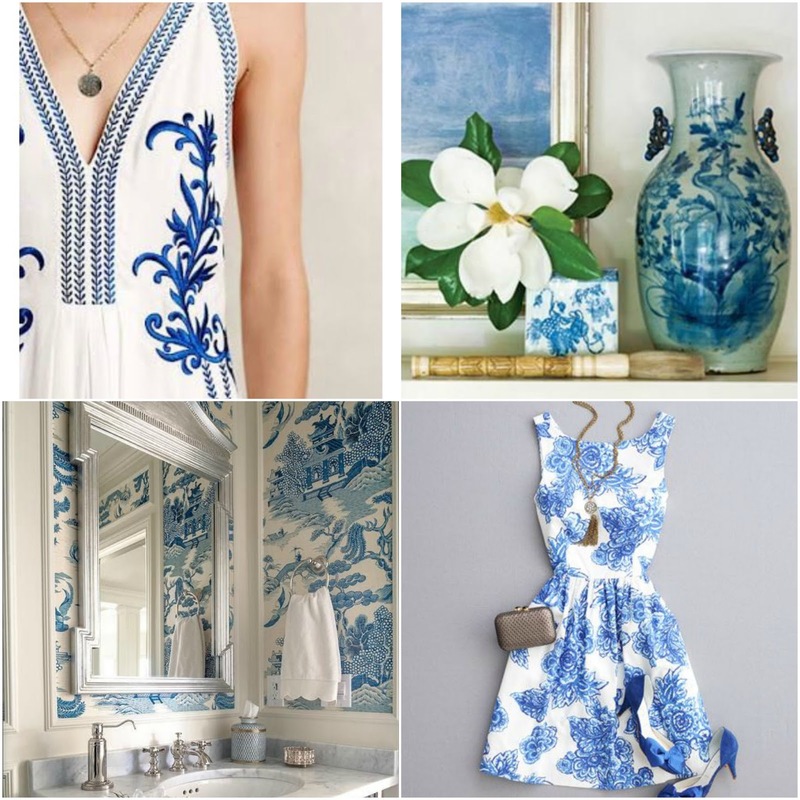 i love blue and white as well and i totally agree about wallpaper being gorgeous when done properly. i am too scared to do it myself though!